We all feel pride when our child loses their first baby tooth. It is a milestone that lets us know our kids are growing up. What parents do not look forward to is the awkward phase where their children’s permanent teeth look really big and they begin to feel self-conscious about their awkward smile. 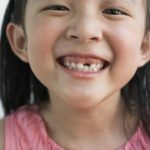 While your child’s permanent teeth may look normal to you, it is important to have them evaluated on a regular basis by their dentist Chevy chase MD to ensure that there are no problems. Permanent teeth need to last your child through their adult life, so ensuring they are healthy is extremely important. You can also benefit them by ensuring that you understand as much as possible about your child’s new teeth. How Many Baby Teeth and Permanent Teeth Will Your Child Get? Primary teeth, or what most people refer to as baby teeth usually start coming in around 6 months old. These baby teeth continue coming in until between the age of 2 or 3 years of age. In all, your child will have 20 baby teeth which are replaced later with 32 adult teeth. Your child will begin getting adult teeth between the ages of 5 or 6 years old. They will continue getting their adult teeth until adulthood, ending when they get their wisdom teeth in. Baby teeth serve a very important job. They help children learn to eat solid foods and hold space for their permanent teeth, which will be larger. Primary teeth are pretty straight forward and easy to track. There are 20 teeth total, 10 on the bottom and 10 on the top. You will know your toddler is done teething when they have 20 teeth, but what about adult teeth? Your child will get a lot more adult teeth than they did baby teeth. In total, they will have 32 permanent teeth, 16 on the top and 16 on the bottom. Adult teeth are also a little darker than baby teeth, but they are also stronger. Typically, adult teeth erupt in the same order your child’s baby teeth did. Usually, the order they follow is the front bottom and the front top. They will then work their way back toward the molars. You will know what teeth to expect first by watching the pattern of which baby teeth fall out first. Keep in mind, this exception to this is if your child has prematurely lost a tooth due to trauma or dental damage. 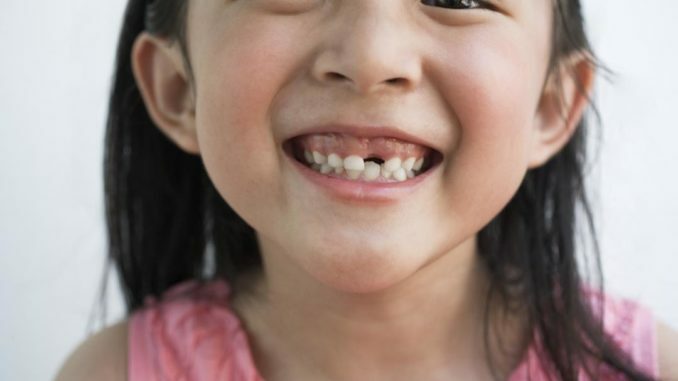 As your child’s permanent teeth come in, it is important to ensure that they are strong and healthy, and to have your child counseled in the best way to care for their teeth. Regular dental visits also ensure that your child’s permanent teeth are not coming in too close together, risking the development of cavities between their teeth, which can lead to pain or even gum disease and premature tooth loss.